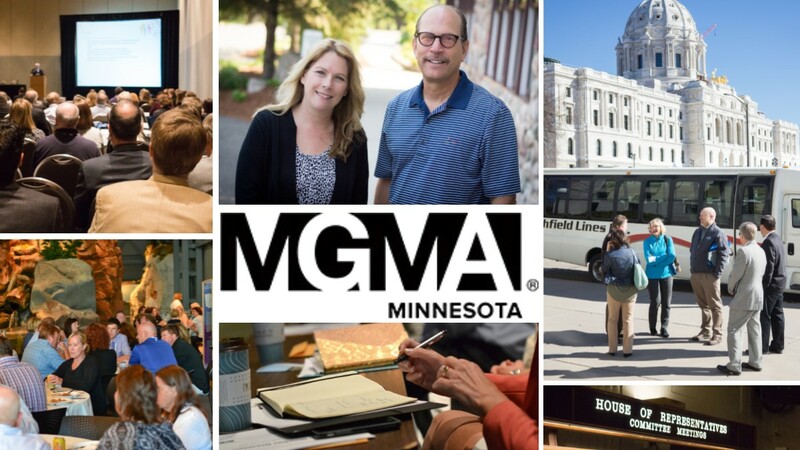 The Minnesota Medical Group Management Association (MMGMA) is dedicated to supporting medical practices in improving the health status of the community and their patients. This is accomplished by promoting and enhancing networking, knowledge and skills necessary to thrive in the healthcare arena. In addition, MMGMA advocates with the legislative and regulatory bodies to advance the concept of group practice within the healthcare delivery system. MMGMA has nearly 500 members who perform managerial duties involving multiple areas or administrative tasks involving a single area, or provide patient care and perform significant managerial or administrative tasks. Of these members, 200 are affiliate members that provide products or services purchased by MMGMA members including such services as management consulting, finance, insurance, etc. In addition to the relevant topics featured at the Winter and Summer Conferences, The University of St. Thomas, in partnership with MMGMA, has developed the Certificate in Advanced Health Care Management. Focused on significant and emerging issues in the health care industry, this certificate will help your organizations prepare for the future of health care with a series of monthly, one-day advanced programs. Programs may be taken individually or as part of the series. You can download a copy of the MMGMA Overview document. INTERESTED IN ACMPE’S CERTIFICATION PROGRAM? Click here for ACMPE mentors and additional information about the program.